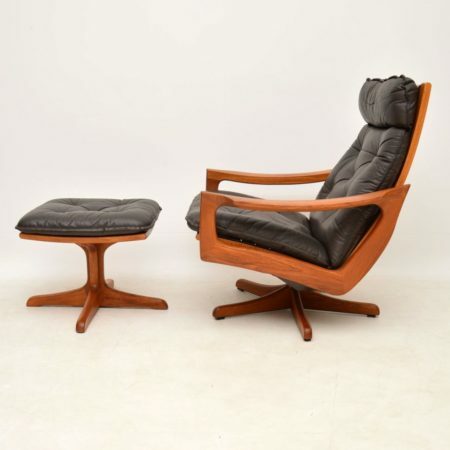 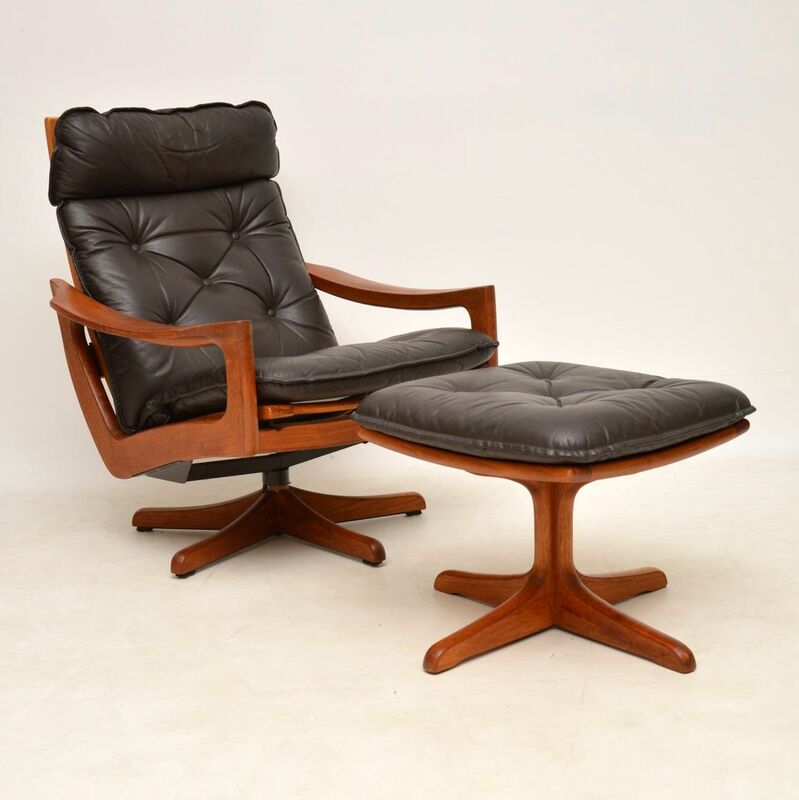 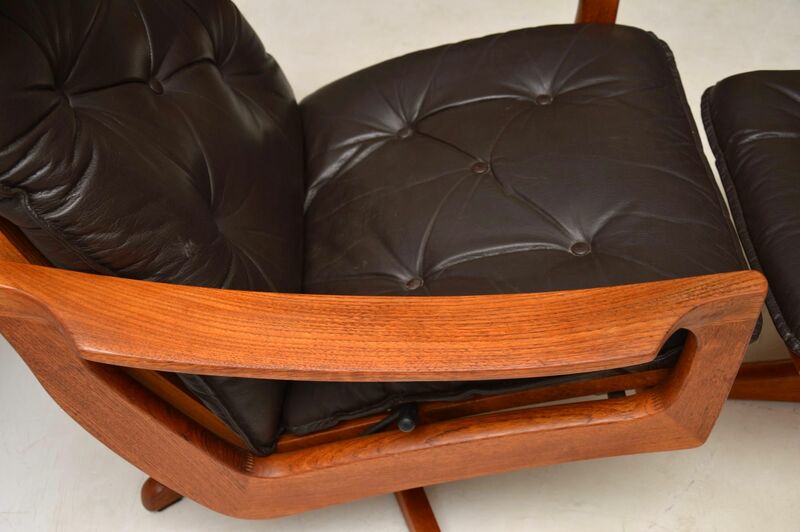 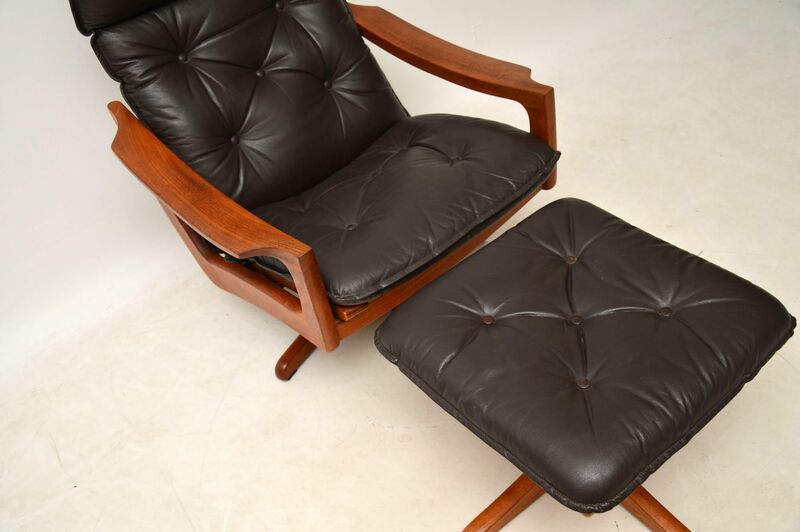 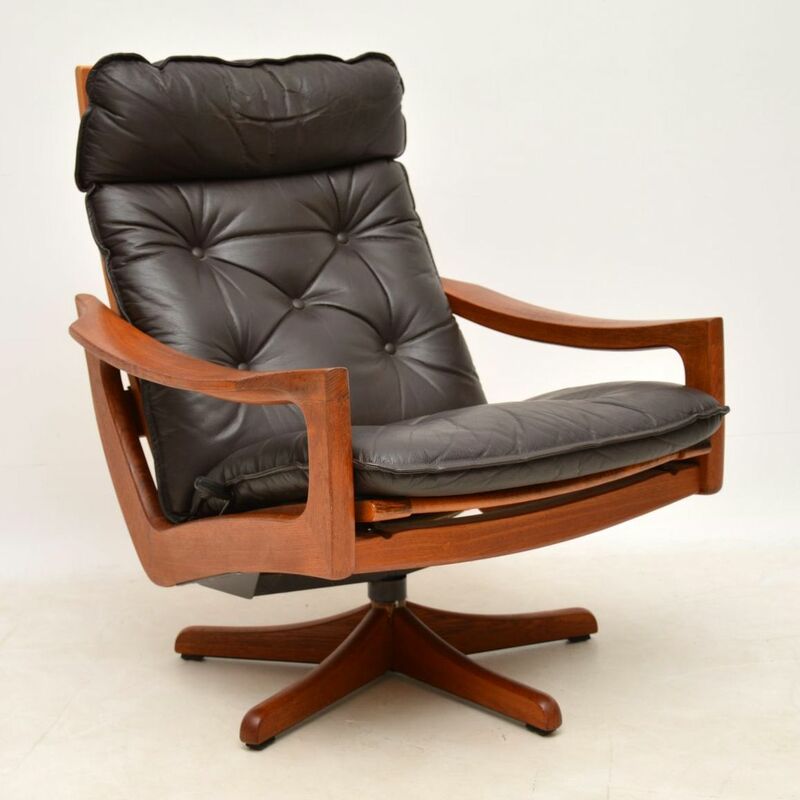 An unbelievably comfortable, top quality vintage leather armchair and stool, with solid teak frames. 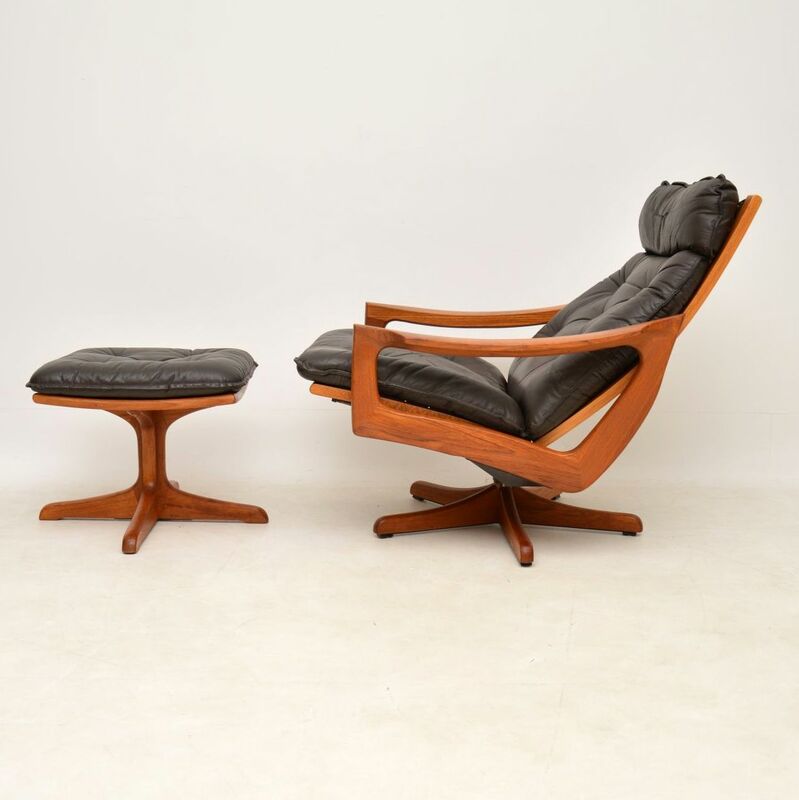 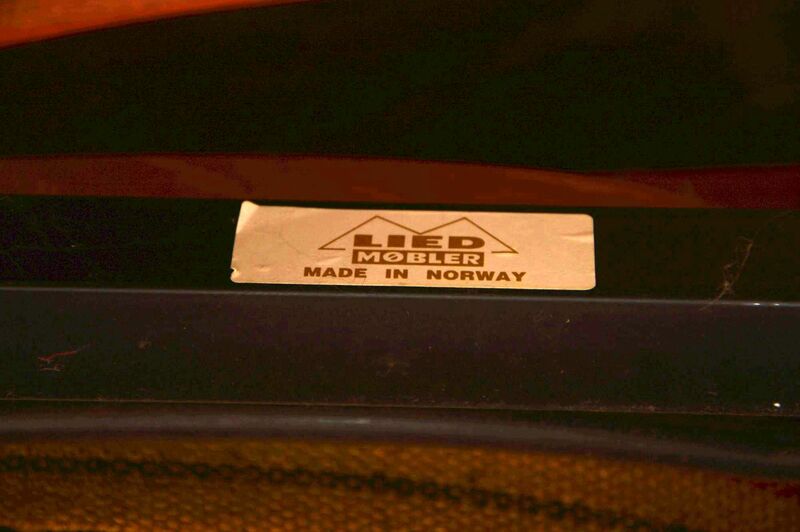 It was made in Norway by Lied Mobler, and it was designed by Soda Galvano. 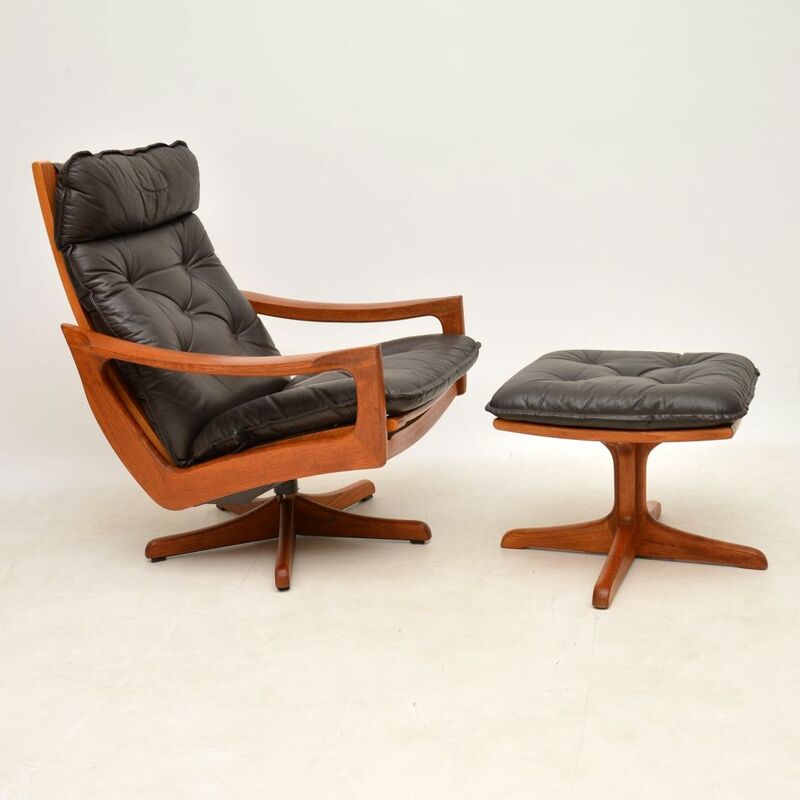 This beautiful set dates from around the 1970’s, and is in superb condition throughout, with only some extremely minor wear to be seen. 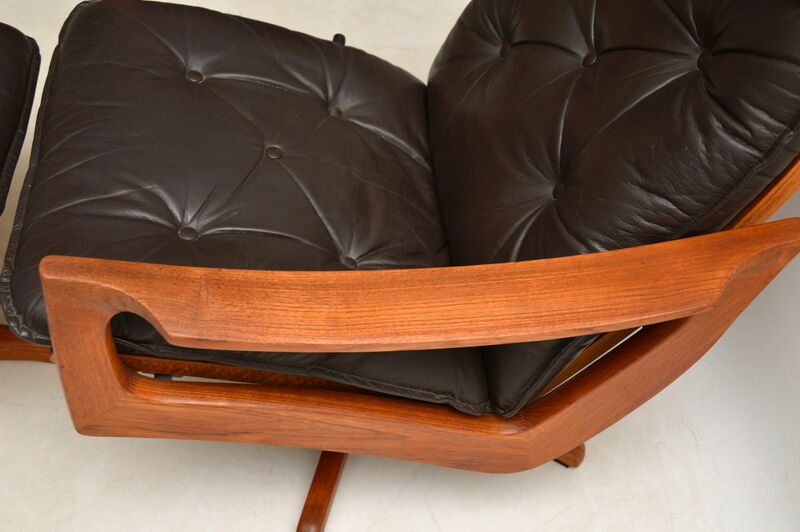 The chair swivels and reclines smoothly with a lever mechanism. 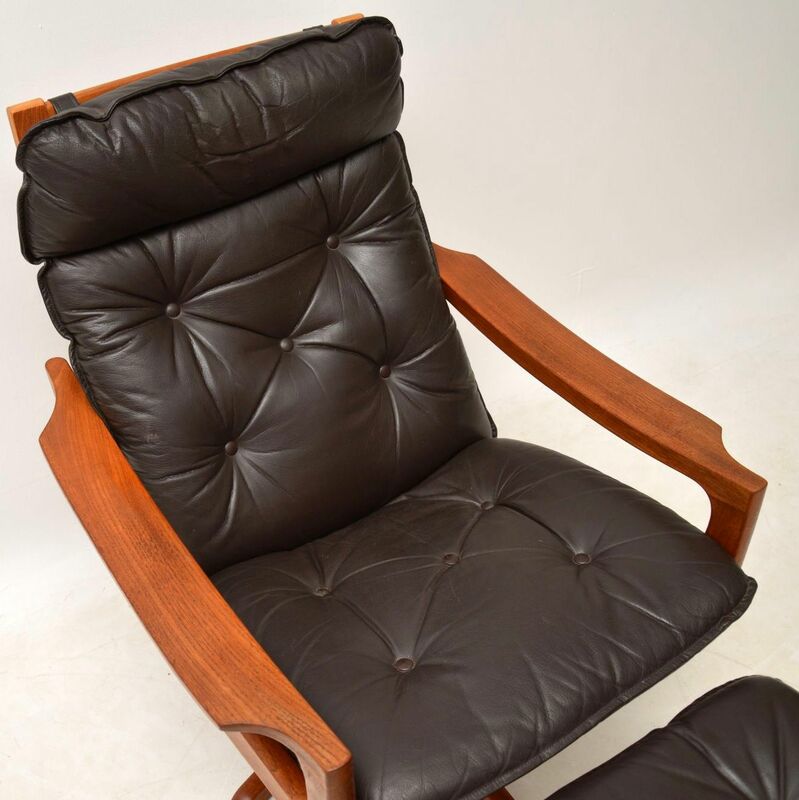 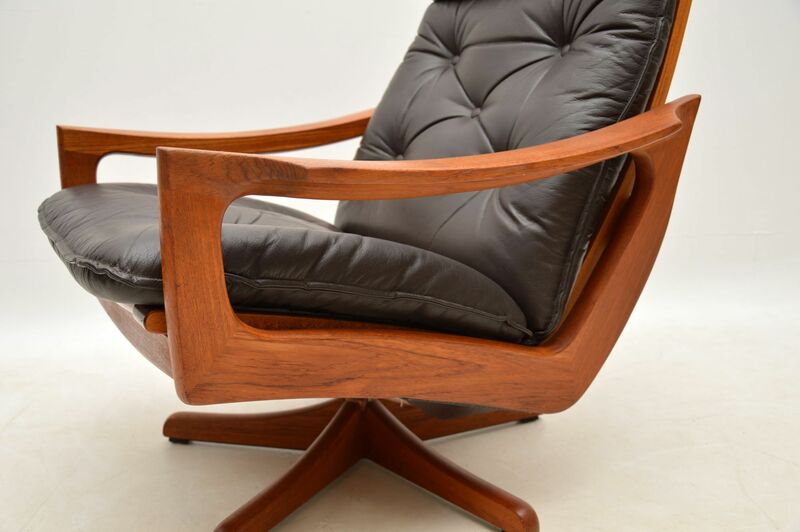 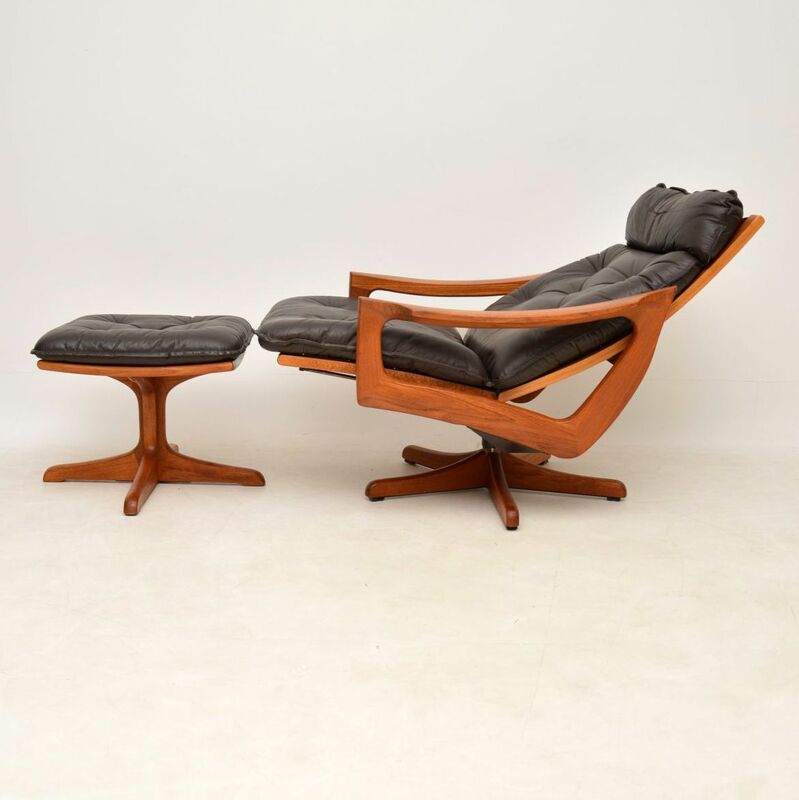 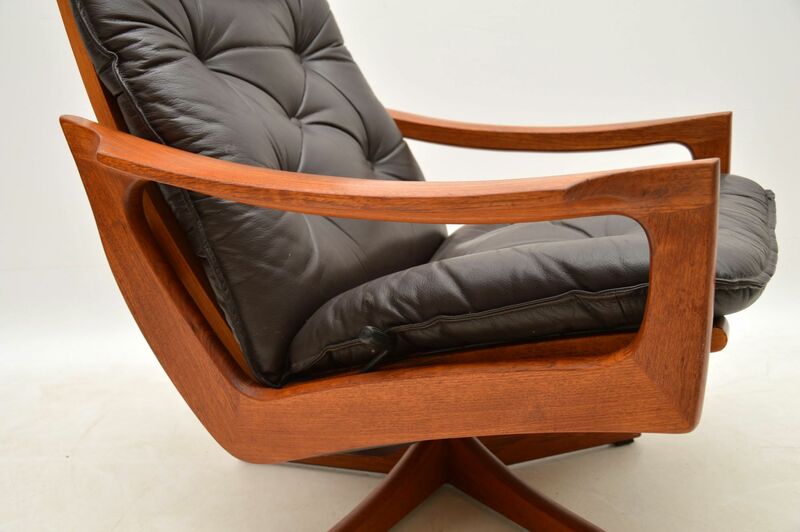 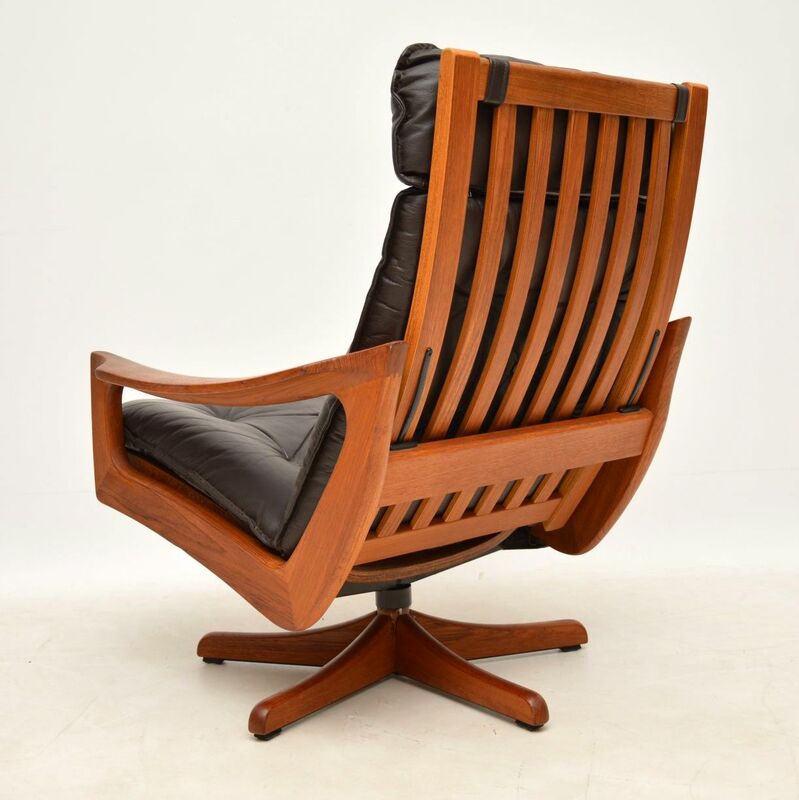 The brown leather is top quality, the sculpted teak frame is very strong and solid, this is extremely stylish and well as extremely comfortable.